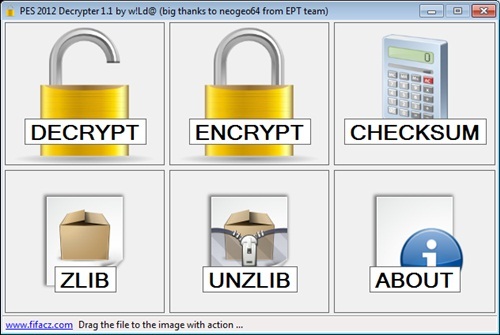 Decrypt/Encrypt PES 2012 Option File (and maybe other files too). Tested just for the PC! Always make a backup!! Tool is making too, but only one!